Late in the fifth inning of game two of the Taiwan All-Star Baseball Series at Taichung Intercontinental Stadium with his Chinese Taipei national team tied with the MLB All-Stars 2-2, Kuo-Hui Lo–a promising center fielder in Seattle Mariners farm system–singled and later stole second base off MLB relief pitcher LaTroy Hawkins. In his attempt to score from second base for Chinese Taipei on a single by fellow Taiwanese-born MLB minor leaguer Chun-Hsiu Chen–a budding catching prospect in the Cleveland Indians organization, Lo slid awkwardly into home plate, catching his leg underneath his body. Unfortunately for Chinese Tapei, MLB All-Star rightfielder Josh Reddick threw a rocket home to catcher Ronny Paulino, who applied the tag on Lo for the third out to end the inning. It may have been a big break for the MLB All-Stars to stop the Chinese Tapei national team rally, but it was nothing compared to the injuries sustained to Kuo-Hui Lo, who during his unorthodox slide suffered multiple leg fractures and a severely dislocated ankle. He was taken off the field in a stretcher and rushed to the hospital for surgery assisted by a MLB physician. It is reported that Lo will be on the disabled list for at least three months. 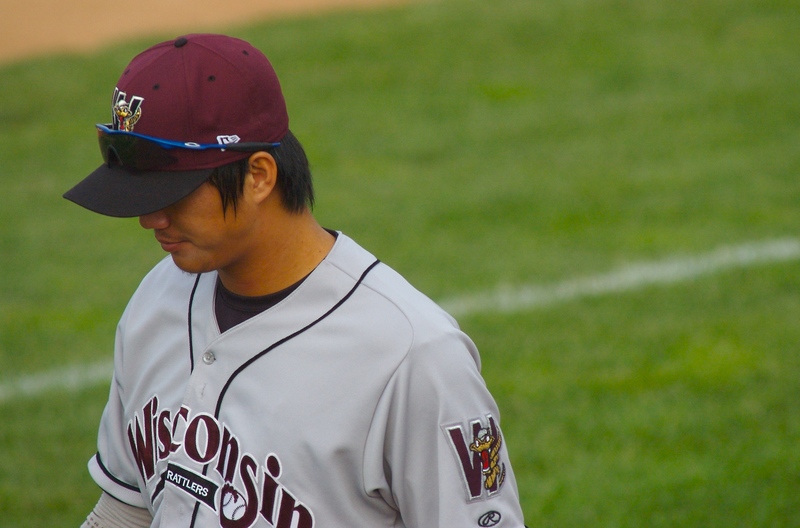 Not only would the Chinese Taipei national team lose one of its star players for the remainder of the exhibition series, but they would also end up losing its second consecutive game to the MLB All-Stars 5-3.